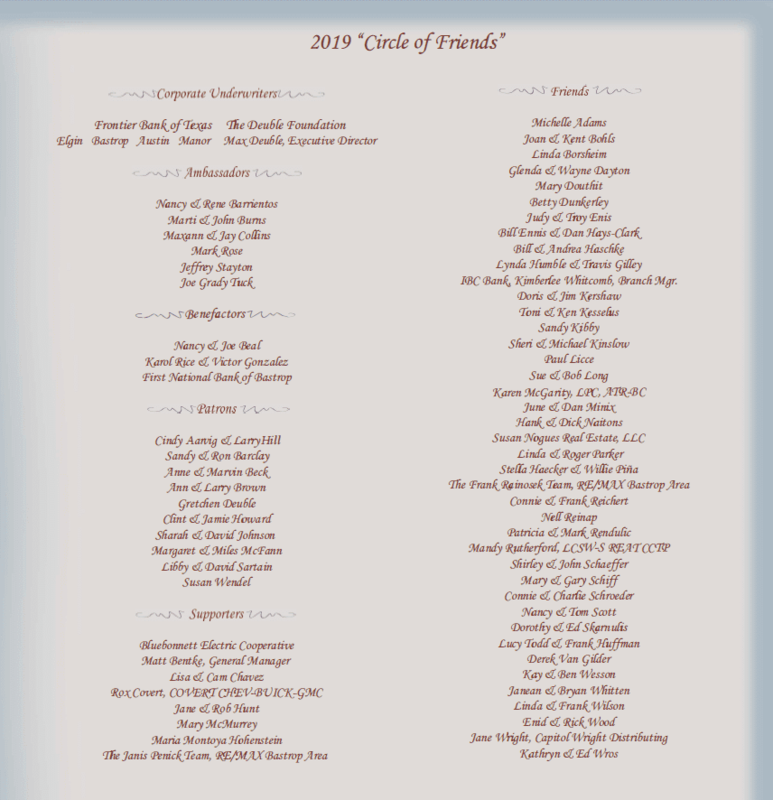 The Lost Pines Art Center’s Circle of Friends is a special group that includes corporate and individual partners who make annual donations of at least $250 to the Lost Pines Art League. We offer a variety of partnership levels and recognize our partners on a special donor wall at the Art Center. The Lost Pines Art Center relies on the generosity of individuals like you to support our diverse programming and exhibitions, as well as to strengthen our community through arts and culture. When you donate to the Lost Pines Art Center in Bastrop, Texas, you spread the joy of art throughout our community and beyond. Plus, because we are a 501(c)(3) nonprofit organization, your donation to the Lost Pines Art Center—within the limits prescribed by law—is tax-deductible!